A widespread consultation process on the way forward for the Irish League has revealed no clear consensus over the possibility of summer football. While many fans appear to be in favour of a potential switch, most clubs are opposed to the move. 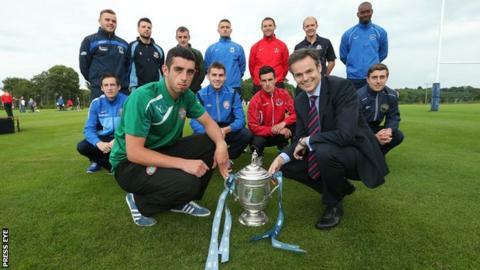 The Northern Ireland Football League asked Uefa to help draft a blueprint for the future of the game here. The NIFL Board will now consider the results, although the conflicting views will make this a challenging exercise. Tom Gorissen, Advisory Manager of Uefa's Top Executive Programme, presented feedback and results from the Focus Groups held in December and January at Newforge in Belfast on Monday night. All 42 member clubs, supporters, sponsors, media and broadcasters were involved in the process. The option of a summer season, beginning in February or March and ending in November, was discussed, but opinion remains divided on the issue. Clubs are understood to have concerns over the hardness of pitches and consequential injuries, along with the likelihood of part-time players wanting summer holidays. The fact that the money-spinning Boxing Day fixtures would no longer be part of the calendar is also understood to be of concern. On the plus side, a move to summer football could enhance the prospect of local clubs performing better in European competitions. The consultation process focused on how to improve attendances and increase revenue. A restructuring of the league, the number of teams in each division and a review of kick-off times and days are all now on the board's agenda, along with summer football. While opinion is divided on some issues, there appears to be agreement on the need for better marketing and promotion, community engagement, enhanced media coverage and better development of players and competition. It is hoped that improvements in these areas would result in larger incomes, thereby subsidising better stadiums and facilities. The number of Premiership clubs could be reduced from 12 to 10, while Championship One and Two look set to be shaken up, with improved promotion and relegation procedures.